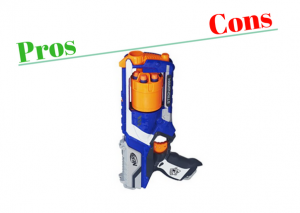 What Is The Nerf Modulus Mediator? Coming out of The Nerf Modulus Series that allows for attachments on top of attachments, don’t like one attachment, trade your teammate for their attachment! The Nerf Modulus Mediator is a side loading, 6 Nerf Dart Magazine holding, pump action priming Nerf Gun that has room for attachments on the barrel, the stock, the side tactical rail and the top tactical rail! When you need to more Nerf Darts, upgrade your magazine! With The Nerf Modulus Mediator, you load 6 Nerf Darts, pump the bottom priming handle and squeeze the trigger to fire 1 Nerf Dart at a time, or hold down the trigger and pump as fast as you can for SlamFire to hit every target with a spray of Nerf Darts! Not Included With The Modulus Mediator but creates The Mediator XL, are The Nerf Mediator Stock And Barrel Attachments. Check Out NerfGunRUs.com’s Price Page To See The Mediator XL Attachments! The Nerf Modulus Mediator is quite the compact little Nerf Gun that allows for 2 separate attachments, one to the stock and one to the barrel to make the full evolution to The Nerf Modulus Mediator XL. Either way, attachments or not, The Nerf Modulus Mediator is a pump action Nerf Gun that allows for SlamFire by holding down the trigger and continuously pumping, whether you want to fire one at a time or unload the whole clip with SlamFire, you have the choice! If at any point while you’re firing, you get a jam, simply hit the release button the side to allow the pump action to draw back, then simply open the Side Jam Door and remove the jammed dart! Another thing I am not huge fan of, The Nerf Modulus Mediator loads from the side, so any extra long magazines you insert, you need to make sure you don’t bang them into anything or anyone… Unless that’s your battle tactic! Who Is The Nerf Modulus Mediator For? Maybe Take Control With The Nerf Mega TwinShock?! When you are in a situation where you are mid range from your enemy and you just have the urge to blast their socks off, well, you need a Nerf Gun to do that. 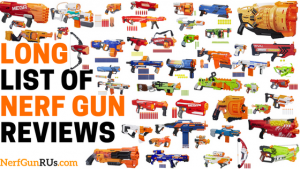 So if you are someone who is just now getting in the world of Nerf Guns… Welcome! 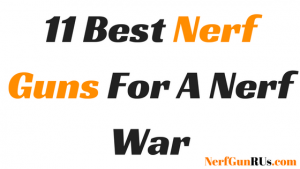 The Nerf Modulus Mediator is a great first Nerf Gun to start with due to the fact you can continue to upgrade it until you become a fairly good Nerf User, maybe even take the title of Nerf Vet after say 20 Nerf Wars, go ahead and take the title Nerf Soldier after your first Nerf War with The Nerf Modulus Mediator! Now if you are already a seasoned Nerf War Vet with a few dozen wins under your collar then you should have a pretty good idea of what a Nerf Gun like The Mediator can do… SlamFire mode is a pretty good way to spray and pray to make sure you hit every target in sight, but with the original magazine you get with The Mediator, you only can spray 6 Nerf Darts… Really…. Just upgrade to make sure your spray covers everything! Is The Nerf Modulus Mediator Worth The Price? Modulus Series Nerf Guns are all compatible with each other’s attachments, making really any Modulus Nerf Gun with an attachment a bonus! That attachment can be used on your new Modulus Mediator! Unless you want to upgrade to specifically The Nerf Modulus Mediator XL with the specific Barrel Attachment and stock attachment. 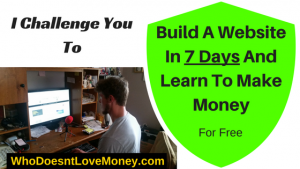 BUT if you do not want to do all the fancy upgrading… Is The Mediator still worth it? The Nerf Modulus Mediator is a SlamFire functional Nerf Gun that does require a bit more ammo for those who want to use SlamFire to its full potential but with a 6 Nerf Dart Magazine, you still get 6 Nerf Darts to fire as fast as you can slam, if you can’t hit your target with 6 Nerf Darts… You need more practice or a Nerf Dart upgrade, maybe to Nerf AccuStrike Darts? With the simple design and the side loading to allow for a more compact design (Up To You If You Like The Side Load Feature), you get a Nerf Gun that fits nicely in your hands and super easy to pump and squeeze the trigger, or hold the trigger and pump for SlamFire! Overall, if you want to upgrade The Mediator, it never hurts to have extra attachments for different situations, always nice to be prepared… You will be in for a deadly combination once you find the attachments that work for you. 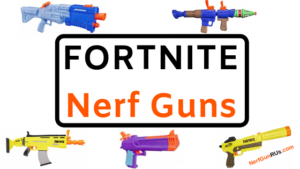 If you want to use the stock Mediator, as is, you have 6 Nerf Darts to take out any target you find fit, if you want to upgrade Nerf Darts, I recommend Nerf AccuStrike Darts! 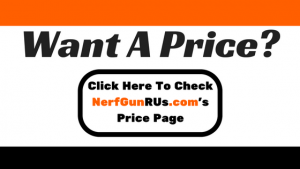 Yes, I Say The Nerf Modulus Mediator Is Worth The Price! I have always been a pretty big fan of the Nerf Modulus Series for the fact there are so many attachments and they all work on Modulus Nerf Guns, some Modulus Nerf Guns have less tactical attachment areas but they are all still to have attachments available somewhere! With this being said, My final opinion of The Nerf Modulus Mediator is this a Nerf Gun that fits right into The Nerf Modulus Series with 2 tactical rails, one on the side and one on top, you have room for some scopes or other attachments you find fit, but then there are the stock and the barrel attachments… You can use any attachments you want from the Modulus Series but The Modulus Mediator has attachments that are specifically designed to turn The Nerf Modulus Mediator into The Nerf Modulus Mediator XL, Check The Attachments On NerfGunRUs.com’s Price Page! I do have an issue with The Mediator only coming with a 6 Nerf Dart magazine, come on!!! 6 Nerf Darts to SlamFire with… That is just ridiculous, upgrade your magazine and you are good to go! Do make sure you don’t force anything when trying to remove a jam, make sure you properly use the side release button and draw back the front handle then open the side jam door and remove any jams, then continue to eliminate! 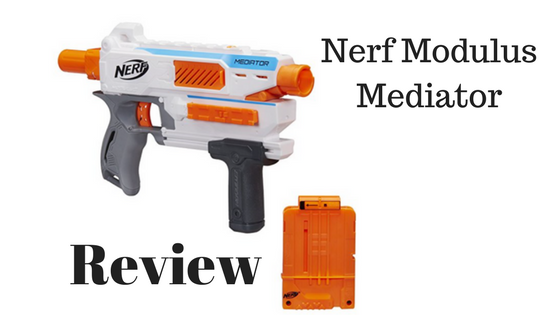 Overall, I say The Nerf Modulus Mediator is a pretty good Nerf Gun to use as a Primary Nerf Gun, small and compact as is, or upgrade to The Nerf Modulus Mediator XL, either way… Upgrade your magazine capacity! 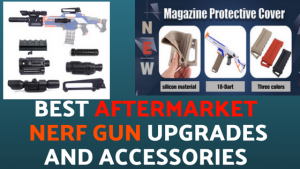 Are you looking to add a Nerf Gun to your arsenal that loads from the side for a more compact design, with pump action priming, attachment ready, and up gradable to take out any enemy that comes your way?! The Nerf Modulus Mediator might not look that intimidating at first, but once you add on some attachments and upgrade your magazine, The Mediator becomes a bit more… Scary! When you are ready to purchase A Nerf Modulus Mediator for yourself or someone else who needs something to upgrade their arsenal, Clicking The Nerf Modulus Mediator Banner Above Will bring you directly to Amazon.com where you can make your safe and secure purchase! 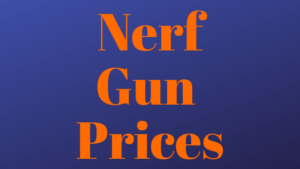 NerfGunRUs.com works with Amazon.com to make sure you find the Nerf Gun that best fits your style of Nerf Combat and when you find it, simply click a banner to be brought to Amazon.com where you can safely and securely make your purchase, along with attachments and ammo upgrades! Thanks for taking the time to check out my review of The Nerf Modulus Mediator, this little Nerf Gun can become something much scarier if you upgrade it right, but as it is, you still have a great pump action Nerf Gun that will help you land shots on your enemy, upgrades just give you more of An Edge On Your Enemy! Again, here find ourselves asking the major question… Pump Action Or Battery Powered?!?! What do you prefer?! What Do You Think About The Nerf Modulus Mediator?! Help Others With Your Comments Below!